This is Grandma's tree, which always comes out of the loft fully-decorated and ready to rock, with decorations dating back to the sixties combined with modern full-on tat - which she loved. I owe many of my creative genes to Blonde Grandma. I've shown this one rather than my own tree, as Grandma died a few days ago, and I will miss this little over-decorated beast this year, and the next, probably. 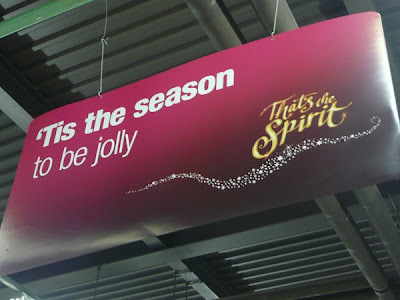 Some eagle-eyed chums have already spotted that Inkymole has done the Co-op’s ‘That’s The Spirit!’ Christmas Campaign. 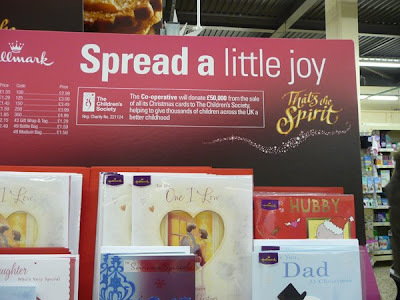 With a TV ad campaign by RSA Films, accompanied by a jaunty Christmas song by Gabriela Cilmi, the campaign includes a charming website which counts down to Christmas one week at a time, and copious amounts of my wonky little stars in-store on shelf edges, wobblers, posters and even sparkling signs. 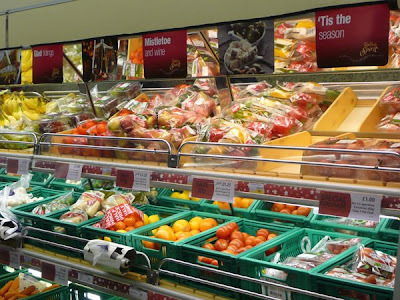 The work was commissioned by Kate Collings at TBWA/Manchester. 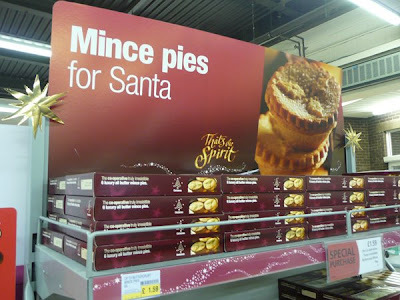 I do love Christmas, so seeing my glowing scribbles all over my favourite supermarket (well actually, my ONLY supermarket - I gave up supermarket shopping some years ago) gives me a warm feeling like brandy butter and a too-hot mince pie. 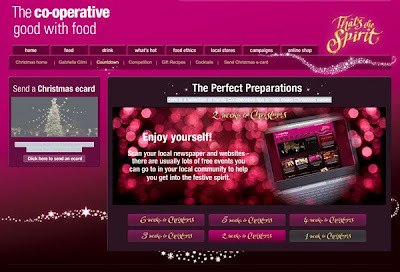 Visit the Co-op Christmas site to see their countdown, or, if you can’t get enough of that Christmas song in the ads, visit the RSA site and watch the lot! A lot of people have asked if they can get separately the 'Snowtrees' winter pin badges that I'm giving away with each print. 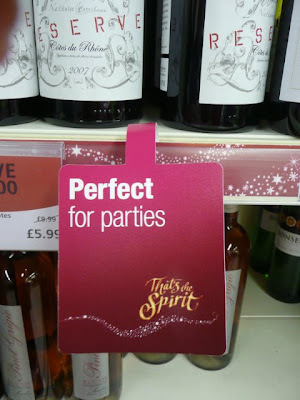 Of course you can! I made plenty. They look like this, and have a 10mm genuine Swarovski crystal in the centre of each. If you want one email me! A quid, including P+P inside the UK, quid fifty outside the UK. Just go to Paypal and do a 'Send Money' to my email address, sarah@inkymole.com. Or if you're stuck, or are too exhausted from the last-week-before-Christmas work frenzy, email me and I'll sort out the necessaries. I do love making badges! 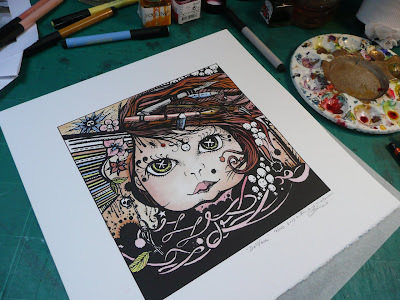 Finally I've done a limited edition screenprint! I've been asked about doing this for ages, and specifically about making this illustration available as a print. 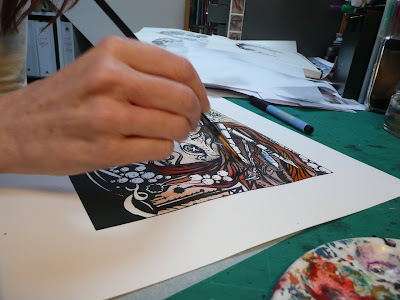 Well, finally I've taken the plunge and have 150 hand-finished prints (well actually down to about 130 already) for sale. They're 12" square (actual print area 8") with a deckle edge on the bottom, and are printed on 250gsm Somerset Radiant White stock, signed and numbered. They're at a special 'Goodwill To All Men' price of £27 inc. P+P for the UK, and $37 inc. P+P for US buyers (but make sure you order before 10th December if you're in the US), and are delivered in a sturdy tube. 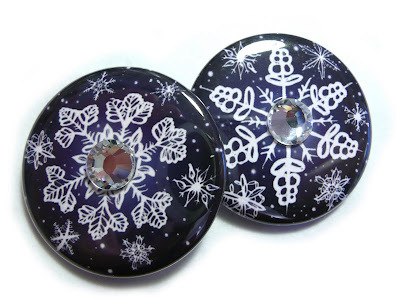 I'm throwing in one of my new Christmas Snowflake badges (resplendant with 10mm Swarovski crystal) with every pre-Christmas order. They do look lovely, and I'm really excited about them! 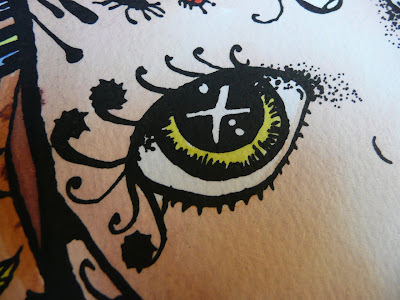 Close-up showing lovely textured paper.